Does anyone else feel like spring is elusive this year? It was hot here quickly, followed by more than one cold snap, and it feels like spring now just doesn't quite want to get started. 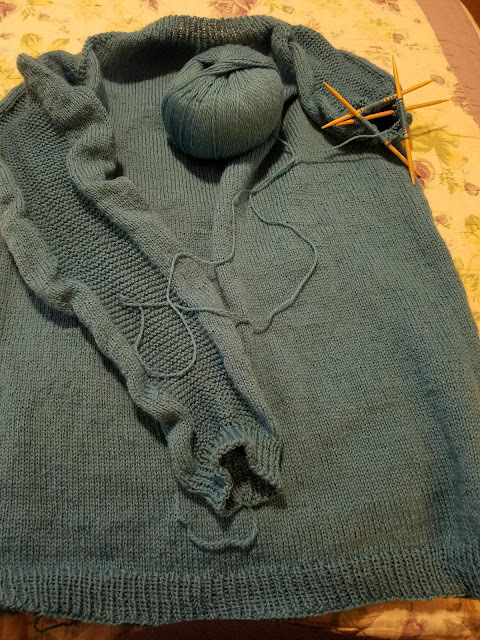 This is as far as I have gotten on my two sweaters. 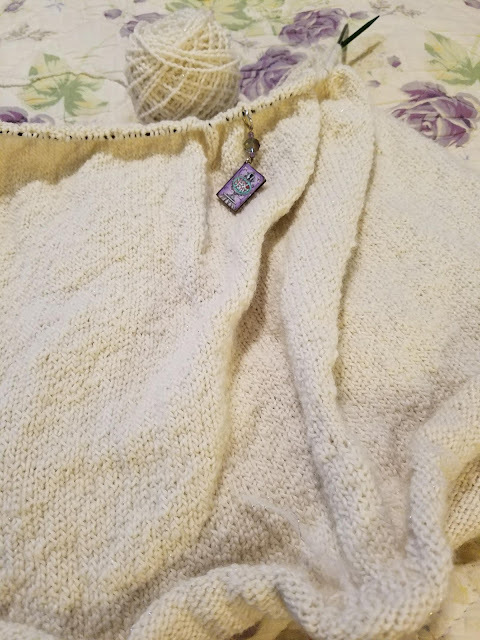 The top is Little Man's second birthday sweater, and the other is my Boxy. I still have tons of other things to do, but I have the same issue as spring this year. I am also having trouble getting started. I think most of it is the waiting. A few weeks ago, my grandmother had a stroke, and since it happened, it has been a waiting game. We waited to see how bad it was, then waited to see how much she could recover, and now we are waiting for "the call." This waiting is just another season, and it too shall pass. Best to do what you can until it passes. Much love to you and yours.